The previous programme A Frank Dialogue about the Most Important, where Academician, Professor Igor Danilov and Archpriest Father Sergey, Dean of St. Michael the Archangel Church participated, provoked an enormous interest among viewers in many countries on different continents. Issues addressed in the programme as well as the guests’ responses are widely discussed at the international level. 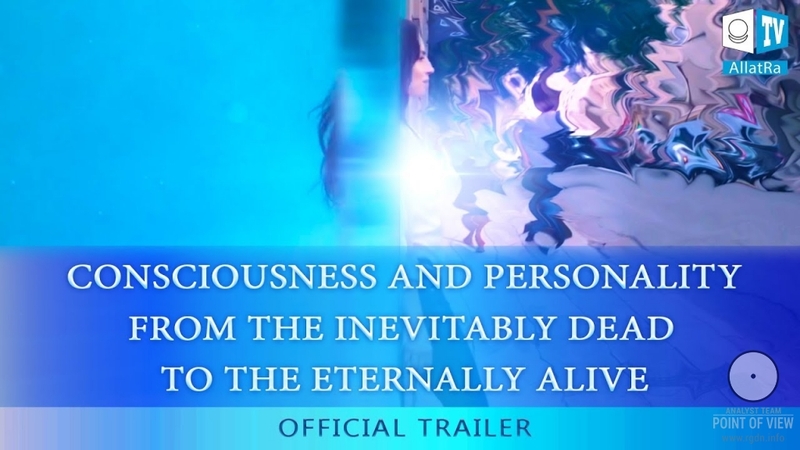 The second programme which is reviewed below contains a unique dialogue about things innermost for every human being, with deeply touching words by Igor Danilov. So, let’s talk about the most important for the humanity, about what the System is concealing. How can you discover the spiritual world within yourself in a simple way? How can you live by deep inner feelings enabling to get in touch with your soul? How can you become IMMORTAL? How to distinguish the spiritual Truth from the system’s lie? What self-improvement work is about. What the internal choice is to be made? 03:50 – Why people prefer to hear, but not to seek the Truth themselves. 04:05 – People are weaned from assuming responsibility and acting independently. Who and why conceals the Knowledge from people, which should be available to everybody without any exception? 05:25 – Internal hearing and internal perception. Why have people lost such skills? 05:45 – Communication with the spiritual world via sensory perception is natural for a human being. 06:40 – People are able to see and hear each other with spiritual eyes and spiritual ears, i.e. at the level of sensory perception. 07:20 – As distinct from the third dimension, from a perspective of higher dimensions (starting from the sixth one) it is possible to feel every person, regardless of the time and distance. No matter how many times people will view this programme in the future, all of them were felt from the sixth dimension perspective already as of the programme filming. Time and distance matter for three-dimensionality only! 10:20 – Why people who consider themselves spiritual and teach others spirituality often think they may reproach other people. What is the main mistake of such “spiritually advanced” people? 13:00 – Talking over someone is evil. What provokes such hatred and malice in people? Why do people fail to control themselves? 13:48 – Mental and logical perception has nothing to do with spiritual perception and intuition. Why? 15:40 – Why do people who attend churches hope that someone will do their job and will pray for forgiveness of their sins? 16:10 – A person might believe that he/she communicates with God and God hears him/her, but does this really take place? How real communication with God is maintained. Why people neither hear, nor feel, nor apprehend the spiritual world. What is real communication with God? What is communication in Spirit? 20:20 – People pass by God every second. The entire world is impregnated with God. Why do people pass by God? 21:10 – The Silver Thread concept: the knowledge leading to the spiritual world, the genuine way to reach God. 22:20 – Contemporary understanding of “being a spiritual person”: the gist of substitution. 24:10 – Internal spiritual deafness and blindness. People should be taught the real inner communication with God since their childhood. How can one learn to hear internally? The highest understanding of Freedom given by God: what does it mean for every human being? 25:03 – The sense of prayers, mantras, and meditations. Why most people want to SEEM, but not to BE. Rites and ceremonies in religions are a substitution that has nothing to do with spirituality and real communication with God. 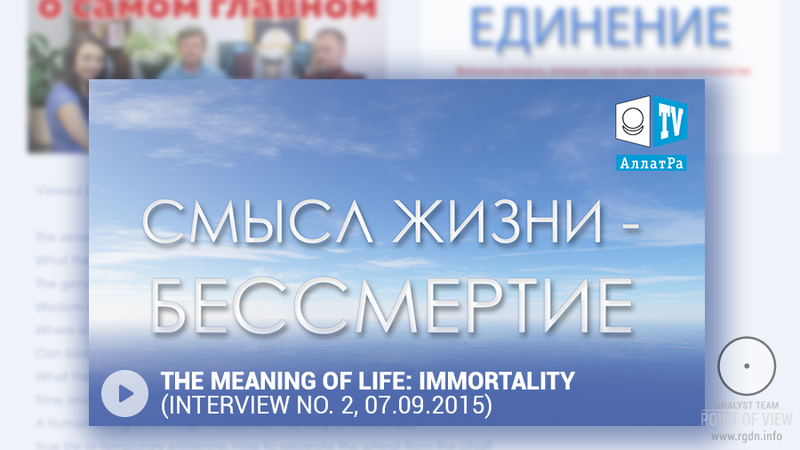 28:35 – The world has reached a deadlock in all fields of life: politics, economy, religion. Why do people wait for and fear the Messiah’s advent? 31:20 – If a person communicates with the spiritual world by means of brain and consciousness, will he/she be heard? 31:40 – How people can learn to distinguish between the body and the Spirit in themselves. What is the sense of self-improvement work and study of the material world system (the world of devil, the hell, the world of shadows)? How does the material world system operate? What are thoughts, and are they ours? Why do people associate themselves with their bodies, i.e. with the matter? 34:10 – Cowardice was the sin most despised by Jesus Christ. What God’s Son specifically meant? People encounter the spiritual world daily, but don’t see it. Why? 35:31 – People tend to make somebody else responsible for their future and even their spiritual salvation, and are unwilling to take care of it themselves. They are no more able to be responsible for themselves and their own deeds, since they are afraid of doing it for themselves. A human being is not consciousness. 37:00 – Even if people never perceived the spiritual world or got in touch with it, they are afraid to feel that world and to tell about their feelings, because they fear being reproached by others. 38:20 – “Those who came from dust will turn into dust again” (it’s about those who associate themselves with the matter and physical body). In order to leave for the spiritual world, one must become a Spirit and live in Spirit, since everyone gets what they strive to gain. 38:50 – Buddha’s experience in feeling himself a Spirit. Why people who achieved something in communication with the spiritual world stopped talking to other people. 40:07 – People wait and search for Messiah, a guide whom they want to see with their earthly eyes. And he comes, but then passes by in silence. 41:30 – People perceive this world from the perspective “do I like this or not?”, “is it comfortable for me?”, etc. Falseness of such world outlook. God’s world is in every human! 42:45 – Religion does NOT teach people how to gain the true spiritual freedom. 43:25 – Why people live with thoughts about their past or future, and not the present. There is neither the past nor the future in the spiritual world, there is only the present, and that is why the spiritual world is everlasting. 44:40 – Why a person who has perceived the spiritual world at least a little bit loses the fear of death of his/her body. 47:10 – The main and only purpose of human existence in this world is to gain life. It’s totally up to the person whether he/she will start living. This knowledge was available to people not so long ago, e.g. in Ancient Egypt. However, religions as major institutions of power have always eradicated this knowledge and suggested to people what contradicts their conscience. 50:15 – A spiritually free person cannot be forced to do what contradicts his/her conscience and the unity between people. 50:55 – A parable about Buddha and a man who hated Buddhism and spat in Buddha’s face. 52:00 – Life means joy and delight, it cannot bring sorrow. Why the word Life used to be written with a capital letter? Life means relationship with God. In the past people prepared themselves to Life, whereas now we prepare ourselves to death. According to religions, we prepare ourselves to death as well. 53:40 – How the System operates. Why people tend to hurt and play dirty tricks on each other, while their good deeds are often a mere window dressing. 54:40 – Modern understanding of “spiritual life” and “spirituality”. Ranking oneself among spiritual people does not mean being such. Manifestation of pride and vanity in contemporary society. Nothing can be done to a free person. 57:00 – Human attention and its major role in people’s spiritual development. A person gets exactly what he//she puts attention to: if attention is put into the matter, he/she gets the matter, and if attention is put into the spiritual, he/she gets the spiritual. If attention is put in the spiritual with a subconscious goal to realize oneself in the matter, does this have anything to do with the spiritual? 59:25 – How a person can totally focus attention on the spiritual and simultaneously do some work. What attention is in its essence, and how to apply it correctly? 01:00:35 – Did ancient people know about the power of attention and the power of thought? How ancient people used this knowledge, and how the knowledge was lost. How people have lost the internal component which led them to spiritual salvation. The example of early Christians (Gnostics) and Cathars. Why were the first Christians exterminated? What was catharsis and study of the system as Cathars’ internal work? Why the Silver Thread was lost. 01:03:00 – A person cannot develop spiritually without observing the evil and the good within himself/herself. A person gets what he/she activates with his/her attention: dead or living. The issue of imitators in religions. 01:05:30 – How to understand whether you are or are not in the spiritual. The spiritual path concept. “To be like everybody else”: the gist of substitution. Why there are knowledge limits in the material world. 01:07:30 – What the material world is. What human brain is capable of, and what it cannot understand. Who is a human being by the nature? 01:09:50 – Brain cannot apprehend the spiritual world and thus misrepresents it. The importance of developing sensory perception. Self-improvement includes observation of one’s own thoughts, deeds, and emotions. What emotions are? 01:12:50 – Why thoughts should be studied, where they originate from. What is consciousness, the collective mind, and its relation to the global system of the animal mind. Brain and consciousness are different things. 01:14:35 – What are thoughts, and do they belong to people? Correlation between thoughts, the power of attention, and emotions. What makes a person’s life if he/she pays attention to the matter, and does he/she live in fact? Fear of studying one’s inner world. 01:18:10 – The reincarnation issue. Who is incarnated: a soul or a human being? The main delusion of contemporary religions. What is the Soul, and can the Soul suffer? Correlation between Personality and the Soul. How consciousness attacks Personality. 01:21:00 – Personality’s freedom. Human attention is what feeds the material world system. 01:20:50 – Study of the material world and cognition of oneself represent a way to gain freedom for the Personality. 01:22:05 – How a person can understand whether he/she follows the spiritual path or not. What substitutions does the consciousness create in this area? 01:23:00 – Sensory perception is perception without masks, in contrast to the three-dimensional world where there are secrets and opportunities to wear masks. 01:24:23 – Elementary, living things discussed in this conversation provoke a response. In the spiritual world you can communicate with everyone simultaneously or with yourself. Communication with the spiritual world is communication with infiniteness. Why consciousness prevents people from seeing the Truth. Why people seek evidences of the spiritual world existence for their brain. 01:26:00 – Most people are able to feel and have sensory perception. What emotions are? Consciousness fears the knowledge, since the latter may deprive it of the power over human Personality. 01:27:13 – A way to Personality’s real freedom. What hinders a person at primary stages? The material world is initially deformed, there is nothing perfect in it. 01:29:00 – Distorted understanding of Love in the modern world. What people mean by this word nowadays. What Real Love is. 01:31:02 – What problem Buddha faced, when he tried to tell people about the spiritual world. Boundlessness of spiritual knowledge and impossibility to communicate it to people by means of consciousness and brain. How prophets were communicating the Knowledge to people. Difficulties in perception and distortions. 01:33:10 – Understanding of the word “Knowledge”. What is this word associated with nowadays, and what does it mean in spiritual sense? How the Knowledge was distorted over centuries. An external form with no internal substance. 01:35:15 – Why the contemporary society has almost lost the entire spiritual knowledge and the way to gain real freedom by the Personality. Historical examples of the Knowledge distortion: Jesus Christ and his followers Gnostics. Why there is no information in the Bible about what Jesus was saying, except some of his sermons. What genuine confession and sin exposure is, and how this relates to the material world system study. Identity of major stereotypes and hackneyed thinking in Christ’s times and nowadays. Perception of a sin as a path to self-knowledge and self-examination. Why Gnostics were disliked by priests as mediators on the way to God: the truth hidden from people. 01:40:50 – Dead Sea Scrolls and Nag Hammadi Library: records of Gnostics. Discrepancies that are contrary to the official history imposed on people by the priesthood system. 01:41:30 – How and for which purposes Jesus lived on the Earth. What prevents people from seeking God? 01:42:23 – The role of Emperor Constantine and his priests in emergence of Christianity as a state religion. The divide and rule principle. Extermination of Jesus’ followers and the genuine Knowledge after the establishment of Christianity as religion. When the knowledge brought by Jesus Christ started to be perverted. What is people’s major mistake? How priests conceal the Truth from people. Christianity was not a religion initially; the first Christians craved for real freedom. Example of how Knowledge was distorted in Islam already during the Prophet’s life. 01:46:15 – Separation of people by the material world System. In Christianity only there are as many as 160 trends: this should be pondered over! The Truth is single, and all Prophets were telling same things about God and a single way to reach Him. 01:48:50 – What the System’s power is based on, and who are devil’s ministers or the System’s servants. Unconscious opposition to the Genuine Knowledge. 01:50:21 – Substitution of the Genuine Knowledge. Human unfolding in front of the spiritual world. What “the service to God” really means, and how this concept has been replaced by rites and ceremonies in contemporary religions. Is there spirituality in most of religious rites? 01:51:55 – Spiritual practices: concept and gist. Example of Cathars and their spiritual work. People’s inner unity as a basis of the spiritual world. 01:54:05 – How consciousness leads a person away from real movement towards God, making him/her only think about the spiritual. 01:54:53 – Doubts and their underlying reason. Human fear to perceive the spiritual world and reject the world material. Most people don’t trust God. They have no doubt He EXISTS, but they DON’T BELIEVE Him. People doubt their own power to create immortality for themselves here. 01:57:10 – Distorted perception of God by means of brain. What sensory perception is in actual fact. Brain and consciousness deceive us! 01:59:40 – Is there a notion of a summit or achievements in spiritual cognition? 02:01:18 – Prayers, meditations, spiritual practices: what they lead to, and the difference in concepts. 02:02:12 – Spiritual practices as a direct way to God. 02:03:06 – Prayers and meditations are insufficient. It is necessary to permanently improve oneself internally in order to be transformed spiritually. 02:03:55 – What is the true internal choice in favour of spiritual development? What is such choice based upon? “Who am I?” as the main question in human life. 02:06:05 – A human being exists on the earth in order to gain immortality, to become an Angel. All this is perceived here and now from one’s personal experience only. Self-improvement work means cognition and answer to the question: are you mortal or immortal? 02:08:56 - What the true service to the spiritual world is. Every person can become the one who carries Light. Global lies of consciousness as of a part of the System, and substitution of the main sense of human life. 02:13:10 – Rationality of the animal mind system. Why the system pretends spiritually free people do not exist: a hint for those who follow the spiritual path! 02:15:40 – One of devil’s deeds is to prove he doesn’t exist, although every human is in permanent contact with him. 02:16:18 – Up to present, around 1,500 amendments have been made to the Bible! People feed Satan (the material world, the System) themselves, living within the System, therefore they don’t notice it. 02:18:00 – Who are Imams, and what is their role in the System study? Which substitution did later on take place? Distortion of the Truth via assimilation of oneself, with no understanding of the inner essence. 02:20:17 – Distortion of the meaning of confession. 02:21:51 – Meditations and practices to improve one’s physical condition are an exploitation of God. Pseudo-saints who used spiritual powers to obtain material welfare and manifestations of magic are the reason of distortion of human attitude to God, to the spiritual world. 02:23:53 – How to hold attention on the spiritual and not to switch over to the material world. Substitutions by the consciousness: an illusion of spiritual development and contact with the spiritual world. 02:27:38 – Sincerity and honesty with oneself is the only thing that helps a person to move towards the spiritual world. It’s impossible to lie about one’s own spiritual development. Honesty is an innate human gift. 02:28:54 – Every person is a claimant to become an Angel, a claimant to Life. 02:30:16 – Can a person live by inner feelings and develop spiritually while living in ordinary conditions, side by side with other people, not secluding or concealing himself/herself? A topical anecdote. 02:32:02 – Why it is necessary to study stereotypes. What forces Personality to worry about problems and situations that have nothing to do with such Personality? Brain puzzling as the initial stage of cognition and freedom gaining. 02:33:15 – How to reside in a deep sensory state always. Are there any obstacles to spiritual development and incessant dialogue with God? 02:34:38 – The subject of people’s settlements and retreats: what attracts people in those, and where is substitution? It is possible to live in Spirit in any environment, with any health, and in any place. 02:36:00 – How to overcome the brain’s fear of the spiritual world. Who benefits, if a human being does not become free from the material world dictatorship. 02:38:00 – Good deeds and spirituality. Stereotyped perception of good deeds and of how a saint should behave in everyday life. 02:39:00 – How can a person, who has stepped on the spiritual path and started developing spiritually, escape thoughts and the consciousness? What can help such person? 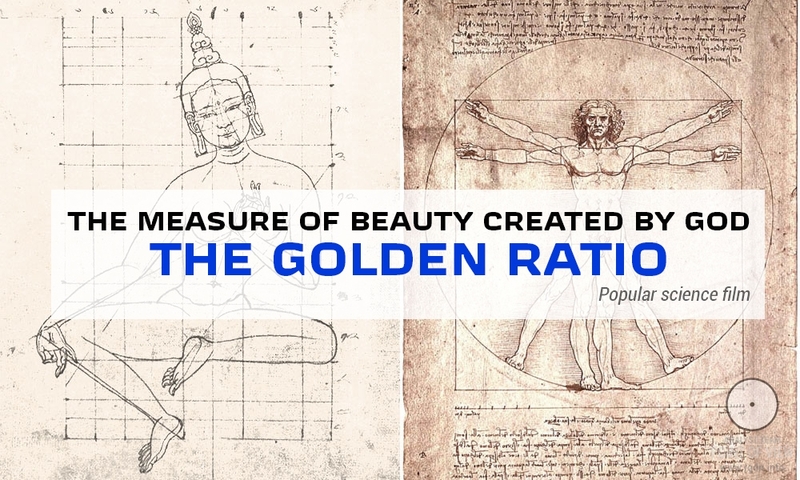 Rationality of the material system and the power of attention: a hint for those who start self-improving! 02:41:40 – “To seem, but not to be”: a spiritual development illusion. 02:42:00 – What deep inner feelings are. How they can be apprehended and perceived. What the Internal Gate is. Boundlessness of deep inner feelings. Is it possible to sense deep inner feelings physically? 02:44:20 – Opportunity to sense deep inner feelings, to get in touch with the wonderful and everlasting (Everyone should see!). How to preserve deep inner feelings. The power of attention and the connection with God. 02:47:33 – Is it possible to preserve deep inner feelings with one’s consciousness or brain? Love cannot be one-sided, just like feelings. Personality must long for the spiritual world. The spiritual world is always open for every Personality. It’s Personality who closes himself/herself from the spiritual world. 02:50:40 – Personality is a child: a forbidden topic that has always been known to priests and enabled them to manipulate people. 02:51:41 – It’s stupid to waste one’s energy on transient things, castles on sand. Everything people build in the material world is even not castles on sand, but a mere construction in illusion. 02:52:07 – Does consciousness really prevent Personality from spiritual development? The three-dimensional world falsity. Personality possesses an enormous power to be able to overcome all attempts of the consciousness to enslave him/her. 02:55:10 – How to improve oneself in everyday life and not to repel the spiritual world’s hand offered. 02:55:25 – What is experienced by a person who is in close contact with the spiritual world. Why a person in whom consciousness prevails over Personality knows no peace. 02:57:08 – Is there such a notion as “Personality’s struggle with oneself”?.Methods used by consciousness to distract Personality. If Personality resides in the sensory world, he/she has no need to fight for that world: an illusion of struggle for the attention. Consciousness is the spiritual world’s enemy! 03:00:30 – Personality is a child, while a child always needs an adult. Nonetheless, a child can become adult! Attention is a power originating from Personality. Where does Personality draw attention from, and what does he/she spend it on? 03:01:36 – You shouldn’t think of death, if you want to live! One’s spiritual development must not be postponed till tomorrow or even to the next moment. 03:02:57 – A parable about a tiger, body mortality, and a wonderful berry. Life is wonderful! You just need to pick the berry! If you, dear reader, have noticed any omissions or can formulate the aforesaid in a different way, we shall be happy to supplement the above list with your view, subject to relevant indication of the topic and time interval. Please, write what you intend in the comments below.